It’s a common misconception that “cold email is dead”. It’s still very much a prevalent marketing channel; the strategies and best practices have simply changed. Gone are the days of random, untargeted advertising blasts. Successful unsolicited email marketing requires a different strategy entirely. 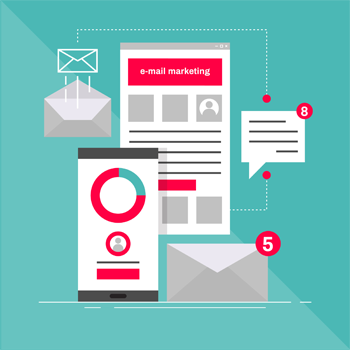 Effective email marketing can be broken down into two categories – technical aspects (such as how to reach the inbox in the first place), and marketing aspects (such as writing compelling copy). This article will show you how to do both. Before we begin, it’s important to note that this article covers sending emails in bulk to a purchased or cold email list. However, much of the information is also applicable to 1-on-1 cold outreach emails, as well. Let’s break the process of sending email into two stages: what happens before your email reaches the recipient email server, and what happens after. Your goal for the first stage is for your email to successfully reach as many inboxes as possible. In order for that to happen, there are some important factors for you to understand. In a nutshell, you need to avoid having your emails classified as spam, which means understanding why an email would be flagged as spam. A lot of factors come into play, but the most important one is your sender score. This is a metric from 0 to 100 that internet service providers (ISPs) use to determine the quality of emails you send. The higher it is, the more ISPs will trust that your emails aren’t spam. Your sender score is calculated using a range of factors. Each ISP calculates sender score a little differently, so you might have a slightly higher or lower score depending on which ISP you’re sending to. Blacklisting: Whether the IP or domain you’re sending from is on any blacklists. Spam trap hits: How many times your emails have been sent to spam trap addresses. Unknown user rate: How many of your emails have been sent to addresses that don’t exist. Complaint rate: The percentage of your emails that have been reported as spam by the recipient. Send volume: How many emails you’re sending, and how often. Blacklisting is the worst possible result of an unsolicited email send, and it will take place if you send to too many spam traps. 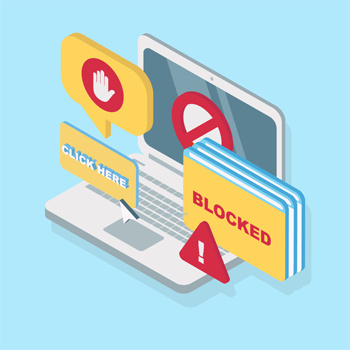 Once you’re blacklisted, it becomes significantly harder to successfully send cold email campaigns, because your sends will be flagged as spam and filtered out. Spam traps are email addresses that are used for the purpose of tracking down spammers and blacklisting them. They’re often placed on publicly-accessible pages where scraping tools can find them. When an email gets sent to a spam trap, that’s an indication that whoever sent it is sending indiscriminately – spamming. Unknown user rate is the percentage of your sent emails that go to invalid or unrecognized email addresses. This could be a malformed email address such as, for example, myname@yaho.ocom. It could also be an email that never existed at all, existed at one point but was closed, or that was abandoned by its user. These two factors, spam traps and unknown users, form the basis for why email list hygiene is so critical. They are two of the biggest risks to your sender score, because it’s all too easy to send a mass email to a list full of bad data – potentially resulting in hitting spam traps, a high unknown user rate, and subsequent blacklisting. You can mitigate these risks by acquiring your contact list from a reputable data provider, and purchasing a third-party list cleaning and verification service (Clickback MAIL has this service built in already). Your send volume, or how many emails you send and how frequently, is another thing that ISPs look at. If you send a massive bulk email campaign from a domain that hasn’t built up a strong sender score, that’s a strong red flag that the message may be spam. Counteract this by warming up your IP address. Another major factor is whether your email content looks like spam. This includes things like over-punctuation (for example, using more than one exclamation point at the end of a sentence), having large images and little text, and using typical spammy phrases like “buy now”. In short, if your email’s content looks like spam, it will get treated like spam, both by spam filters and by the recipient. Clickback MAIL has a range of built-in features to help handle all these technical factors. It has a list data verification service built into the upload tool, so you don’t need to pay a third party. While you’re creating your email, it’ll alert you of any formatting or content that could hinder your deliverability. Take a look for yourself – book a 1-on-1 demo here. Once your email has been sent and has run the gauntlet of ISPs and spam filters and made it to the recipient’s inbox, that’s where the real work begins. First and foremost, your email needs to get opened, and for that to happen, it needs to get noticed. Which means a stand-out subject line. Your email content might be the most compelling thing in the world, but if nobody opens the email, that doesn’t do you any good. Spend at least as much time on your subject line as you do on the rest of the email – in fact, spend more. Your subject line is the key to success, regardless of whether your email marketing is unsolicited or not. Any kind of email marketing relies on the subject line to drive opens. The more people open your email, the higher the positive impact on your campaign performance – and on your sender score. You can never put too much effort into your subject line. Test different approaches and see what works best for your particular audience. Once they’ve opened it, your cold email copywriting skills come into play. Remember all the “spammy” language we talked about avoiding? That will pay off here as well. The main key to success with unsolicited email marketing is the value of your email. Avoid pushing any kind of sale or talking about your products or offers. Your recipients haven’t ever heard of you and most likely don’t have any reason to care about what your company does. Make it all about them. Talk about their pain points, offer them advice on handling those problems, give them some useful content that will actually make their life easier. Don’t try and drag them into your funnel – make them want to jump in. Don’t even mention your company or your products. This is your first touchpoint with the recipient, and you want to give them plenty of reasons to keep the conversation going – whether that’s by replying to the email or checking out the content you offered them and signing up for more. If you instead only talk about your company and products, and try to convince them to buy something, not only will they probably not do that – they’re likely to report your message as spam. The takeaway here is not to approach your unsolicited emails as sales emails – think of them as conversation starters, a way to ease new leads into the top of your funnel. Unsolicited email marketing is a very powerful tool when executed properly. The best way to maximize your chances at success are to actively avoid anything that makes your email look like spam to either the spam filters or the recipient themselves. The best way to do that is to use Clickback MAIL to send your campaigns. It saves money with its built-in list cleaning and verification service, and is packed with other unique features designed to give your bulk email campaigns the best possible chance at hitting the inbox. Get a free 1:1 demo of the software and see for yourself just how powerful it is.